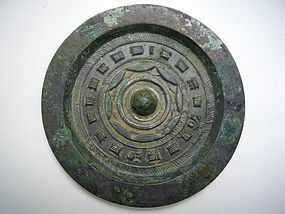 China, Han Dynasty (206BC-221AD). Diameter 11 cm. Excellent condition, good patina.